Apply to be a vendor at the Boyne City Farmers Market! Welcome to the Boyne City Farmers Market! 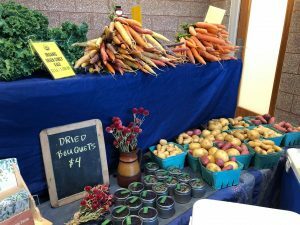 The Boyne City Farmers Market is a year-round market operating every Wednesday and Saturday from 8 a.m. – Noon mid-May through mid-October in Veteran’s Park and every Saturday 9-noon mid-October through mid-May inside Boyne City Hall. The Boyne City Farmers Market is a program of Boyne City Main Street.